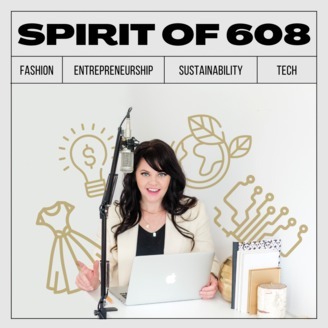 Spirit of 608: Fashion, Entrepreneurship, Sustainability + Tech. 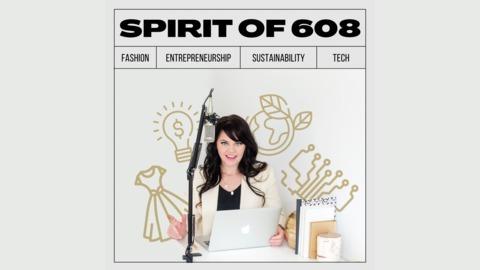 It's not every day that you meet a startup founder who left a solid corporate job and managed to grow her startup from an idea to solid partnerships with retailers such as Nordstrom and an Instagram following of ~180K in just a few years, but that's exactly what you'll hear happening on this week's episode of the Spirit of 608 podcast. Along with that, the female entrepreneur featured in this show is not only changing the game around women's bras and underwear, but arguably creating an entirely new category - one that emphasizes how women feel in their most basic, intimate garments rather than how they look. Meet this week's guest, Michelle Cordeiro Grant, Founder of Lively. Want the backstory on the woman behind Lively and its out-of-the-box approach to bras and underwear? Michelle says, "I was lucky enough to find a role in fashion at Federated Merchandising Group, where I was able to create brands and products for one of the biggest retailers in the world. I instantly fell in love with the entire process — from concept to customer. But in the back of my head, I was still not convinced that a career in fashion could be my life’s profession. After applying and attending law school — two weeks in, I realized my passion really was supporting, creating, and developing these amazing brands. I finally realized that your passion could actually BE your career. While at Victoria’s Secret, I saw that this $13 billion lingerie category in the U.S. alone was dominated by this one brand, with one POV. I knew that one day I was going to create a completely new experience for the bras and undies category, that was inspired by real life: one that could inspire women to embrace their human uniqueness, their individuality, and in doing so allow them live life passionately, purposefully and confidently." Pixlee: Michelle recommends this resource of the week for any brand dealing with some heavy lifting on the socials side, particularly with brand awareness and influencer marketing.